An engagement ring is a serious investment of money that requires that the buyer does their homework in a smart, systematic way. My father was a jeweler and I’ve worked in the jewelry industry for over 20 years. I decided to put myself in the shoes of someone out looking to buy a diamond. I wrote this article in the hopes of giving a unique perspective and perhaps help some folks out there trying to navigate the often-choppy seas of buying an engagement ring. Let’s say, as a jewelry industry professional, knowing what I know about diamonds, I was getting married and I wanted to buy an engagement ring for my bride to be? For the sake of this exercise, let’s suppose I can’t access any wholesaler contacts and I have to work on public information readily available to the average retail consumer. The first thing I would do is find an independent jeweler with great reviews within 30 to 60 minutes of where I live. I’d go in there, tell them what my budget is and tell them I want to see what my options are. 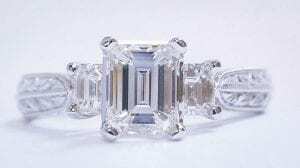 I’d want to see their GIA (Gemological Institute of America) triple x cut diamonds (excellent cut, symmetry and polish). Having an excellent cut diamond is going to make the stone have maximum brilliance (or sparkle) because of the ideal proportions. 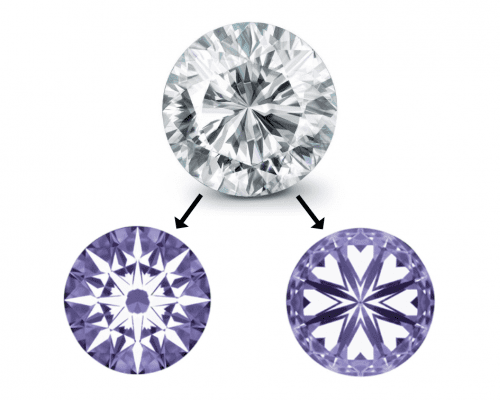 Learn more about cut here: Understanding Diamond Cuts. An excellent stone will be cut symmetrical, with no wonky angles or out of round shapes, and the polish will be good, so you won’t see any odd-looking polish lines which can detract from the overall beauty of the stone. Diamonds with triple x cut grades will be more expensive. If you’re open to sacrificing a little bit of cut quality that’s fine. You just want to make sure the cut grade, polish, and symmetry have a grade of at least “very good”. Also, it’s very important the proportions are within the standard range. 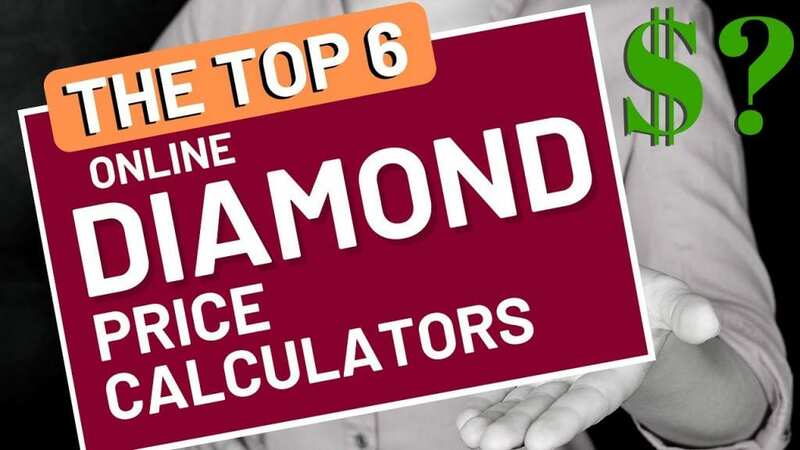 You can find a diamond proportion chart here: Estimating Diamond Cut Grades. I would ask to see 6 different options within my price range and within my color, clarity, and cut range; then ask for a copy of each GIA certificate to take home to consider for my final decision. I would tell them I’m not interested in buying a stone with anything more than faint fluorescence which can make the stone look foggy (you might tell them to show you one just so you can learn what fluorescence looks like). I’d ask to be shown all the stones under a 10 x microscope, so I can familiarize myself with what the clarity grades look like and to make sure I don’t see anything in there that’s unattractive — like a black carbon spot in the dead center or a huge white feather running across the center of the table. With a fresh cup of java in hand, I would log on to Blue Nile’s website. They have a great filter function and their general navigation is very user friendly. 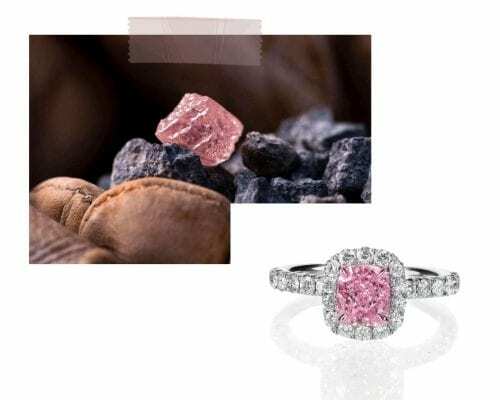 Blue Nile was the first large online diamond retailer, and they’ve created a pretty awesome platform (we are in no way affiliated with Blue Nile). 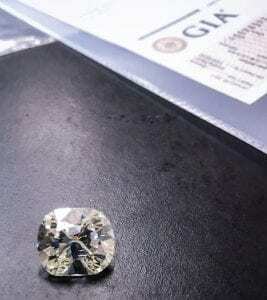 From my experience scanning their stones, their pricing seems pretty consistent across the different diamond varieties, and the margins are on the lower side of the retail spectrum. 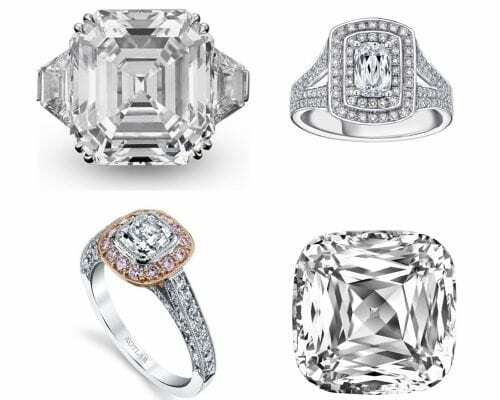 With a bricks and mortar store, you will have the luxury of holding the engagement ring in your hand, trying it on, seeing several diamond rings side by side. 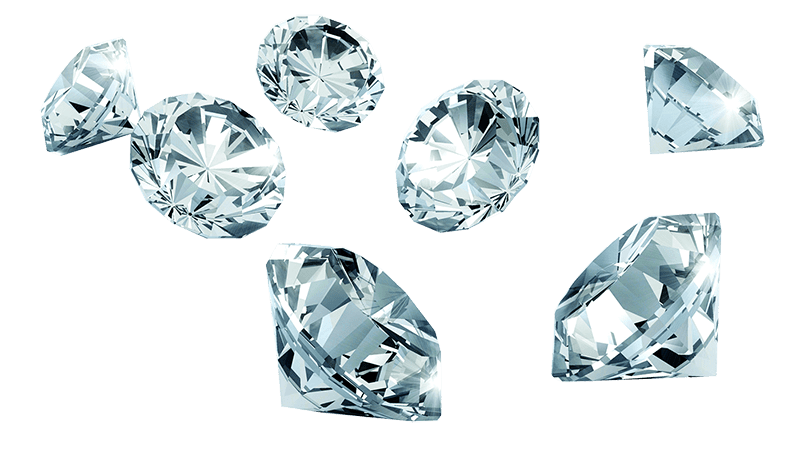 I would find identical (or close as possible) diamonds to match the stones I liked from the independent jeweler and I would compare prices, write down both side by side and see how they compare. Are they close in price? With a bricks and mortar store, you will have the luxury of holding the engagement ring in your hand, trying it on, seeing several diamond rings side by side. There is a lot to be said for physically interacting with a diamond engagement ring before making the purchase. 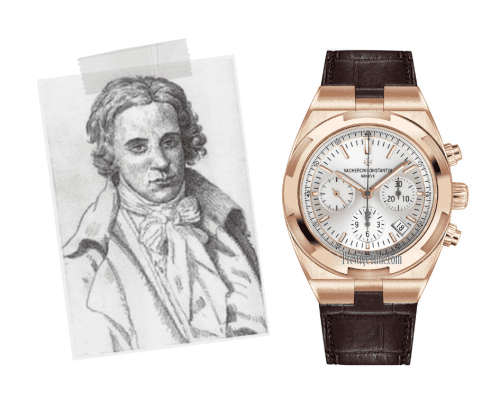 At the end of the day, you want to ask yourself: “What are the benefits for paying the higher price at a brick and mortar jeweler?” Then make an informed decision based on the answers to that question. My next move would be to find a ring. I would hop on my google browser and search the following: engagement semi mount rings, which means engagement ring without the center stone. You’ll see page after page of websites offering their semi-mount designs. From big retailers like Ben Bridge to small operators on Etsy making them on a per order basis. 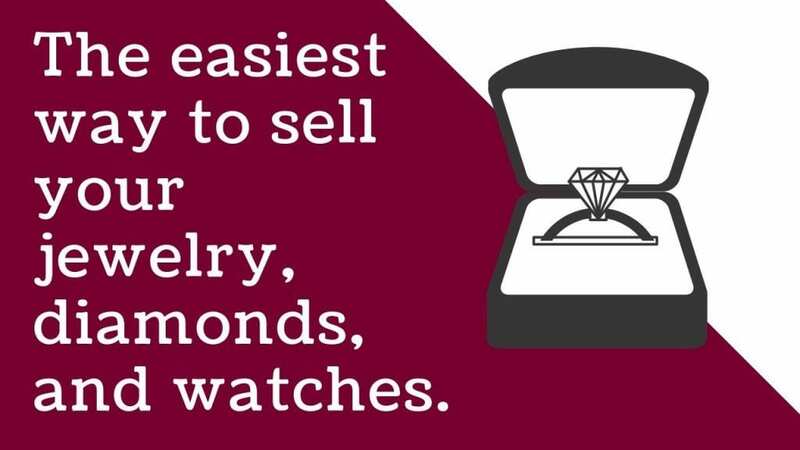 Just make sure they offer the same size of diamond you’ll be purchasing. You can tell them the mm width and depth of your stone to be sure the diamond will fit into the ring. All the measurements will be on the GIA certificate. Browsing these sites will familiarize you with different designs and what’s available in the pre-made semi-mount world. Custom is also an option. When having a custom made ring built there are a few questions you can ask yourself: is the design I’m considering making custom already available pre-made? Can I be sure the finished ring will look like what I’ve envisioned? Is there enough time for the ring to be made based on the date I need it? (keeping in mind delays or hiccups along the way can happen whenever a new design is made). You’ll see page after page of websites offering their semi-mount designs. From big retailers like Ben Bridge to small operators on Etsy making them on a per order basis. When you make a custom ring you are paying for all product development to be added to the cost of just one ring, whereas when a company makes a design for a multiple production run then that cost will be spread out over their entire production. Sketch or CAD rendering, mold making, 3d printing of the model, are all costs you will have to pay extra when you make just one custom ring. In no way am I discouraging you from making a custom ring. I support local artisans and think it’s amazing when all the elements come together on a well-crafted beautiful custom ring. I just want to make sure you’re aware of the different aspects of making a custom ring before going in that direction and note that it doesn’t make a lot of sense to make a custom ring for a basic design that’s easily available in the market. In my opinion, custom work is best left for an absolutely unique, one of a kind design that you can’t find anywhere else and you are willing to pay for that “one off” engagement ring. Now it’s decision time. Perhaps you really like your local independent jeweler, and you’d like to give them the business. At least you have comparisons. And if the prices you’ve researched aren’t too far from theirs, and you don’t mind spending a little more for great personal service, then go for it. At least now you know you’re not getting ripped off. If you decide to go the online route, I would suggest buying your engagement ring from one of the bigger players. 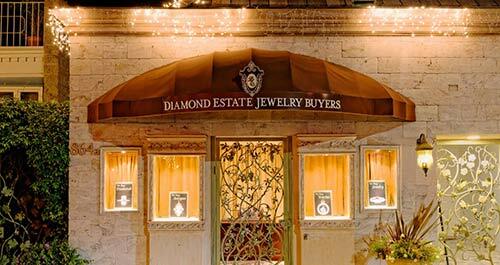 Blue Nile sells both diamonds and rings. There are other names like Ritani and James Allen that have good reviews. The biggest takeaway here is don’t go into the first mall store you see, get caught up in the moment with a fast-talking salesmen and end up paying thousands of dollars extra for a diamond engagement ring that really shouldn’t cost that much because the quality doesn’t merit the price. As professional diamond buyers, we at Diamond Estate come across sellers every day who come in to sell a diamond engagement ring. Sometimes it’s because the client wants to upgrade to a larger diamond, other times it’s because of a divorce situation. 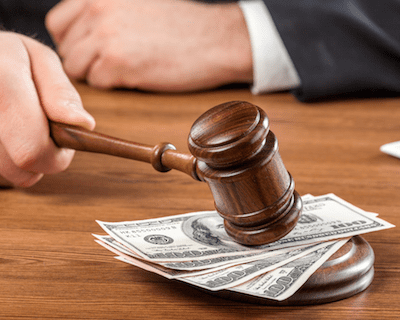 Because buying a diamond ring is a luxury asset…you want to be sure that some serious thought goes into the buying process to assure yourself that you really did get the most you could for the amount of money spent. 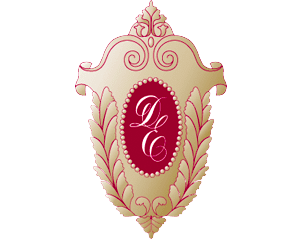 Regardless of what the reason is, we see time and time again people who have grossly overpaid for a low-quality diamond and it’s usually because they just walked into the largest retail jewelry chain store and didn’t look anywhere else or compare. Such quick decisions are understandable when you consider how excited emotions often drive the purchase of an engagement ring — rather than calm deliberation. But that doesn’t make it any less frustrating to learn that your engagement ring isn’t worth what you thought it was. 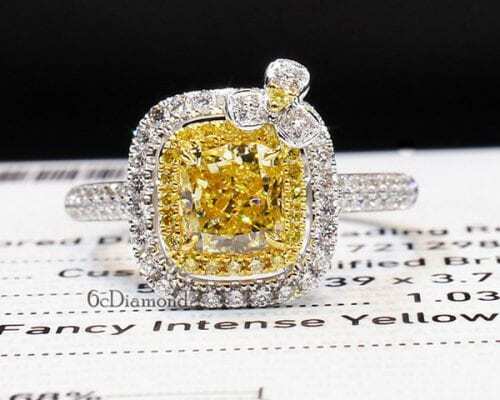 Because buying a diamond ring is a luxury asset, a substantial investment usually in the thousands of dollars, you want to be sure that some serious thought goes into the buying process to assure yourself that you really did get the most you could for the amount of money spent. 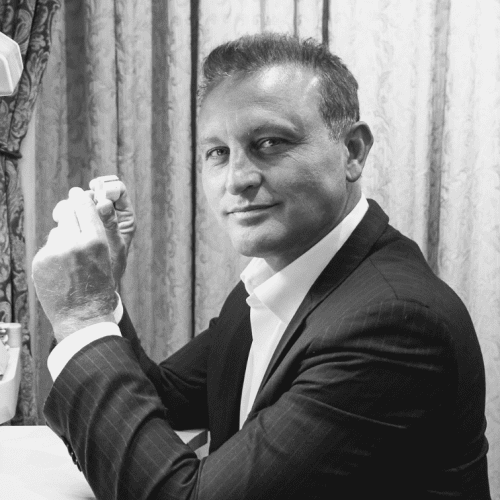 We like to be able to pay our clients more money for their diamonds, but that can only happen when the diamond was purchased wisely at the retail level. 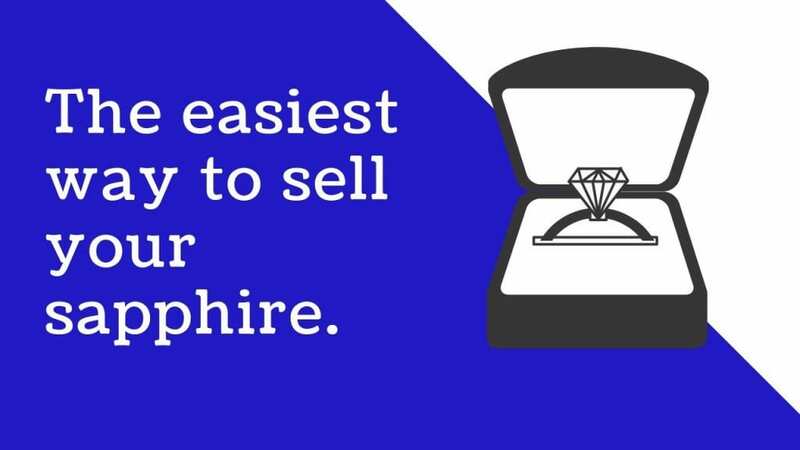 If you would like to sell your diamond ring, contact us now for a free consultation. 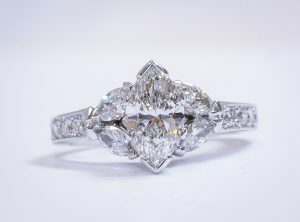 View one of our recent engagement ring purchases at: Oval Diamond Ring.